As the third largest city in Sweden, Malmo is a popular place to visit in Scandinavia. The city is one of the region's earliest industrial towns; however, the age of post-industrialism has seen Malmo transformed from a hub of manufacturing into a large university town which boasts an impressive world of arts, education and culture. 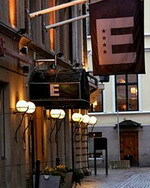 The Elite Hotel Residens is located opposite the central station in Malmoe, providing transportation to and from the Copenhagen Airport in Kastrup. The bus from Sturup stops just outside the hotel. Guests of the Elite Residens can relax with a beer or a glass of wine in the lobby bar or spend some time in the hotel's sauna. Complimentary wireless Internet access is available throughout the property. The hotel's reception desk operates 24 hours a day, and parking is available next to the hotel for a fee. Complimentary breakfasts are served each morning. All hotel guests receive discounted access to the fully equipped gym near the hotel. The hotel's sister hotel, located just 50 metres away, offers the Bishop Arm's Pub and the restaurant Café le fil du Rasoir. Many museums, outdoor cafes and restaurants at the historic Lilla Torg and Malmoes shopping streets are close to the hotel. 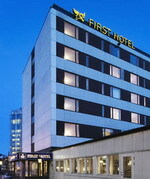 The First Hotel Jorgen Kock - Malmo is located in Malmo, Sweden, 500 meters from Malmohus Castle and the city center. The Dutch windmill Slottsmollan and the Turning Torso are within one kilometer of the hotel. Ribersborg Beach and Kallbadhus Sauna are one-and-one-half kilometers away. 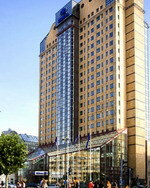 The hotel is 200 meters from the Malmo Central railway station. The hotel offers complimentary breakfasts in the bistro-style restaurant, while light meals and drinks are served in the bar. A fireplace warms diners during colder months. Malmohus Castle, located 500 meters from the hotel, is Sweden's oldest Renaissance castle. A history museum, art museum and aquarium are available to tour. Hilton Malmo City, with its distinctive external elevators, is centrally located just one block from the shopping district and three kilometres from Ribersborg Beach. Guests can enjoy views of Malmo from the top floor gym where instructors are on hand to assist with training programmes, or join yoga, fitness boxing or spinning classes. Less active guests can relax in the sauna or enjoy pampering massage and chiropractic treatments. There is a breakfast buffet restaurant which caters for varied dietary needs and a restaurant and bar serving grilled meats, side dishes and cocktails. There is also a newsagent, foreign currency exchange and laundry service and multilingual staff can provide local attraction information. 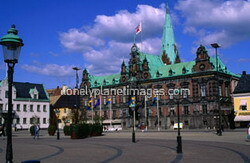 The city park, Malmo Art Hall and shopping district are all within five blocks and Malmo Museum is 10 kilometres away. 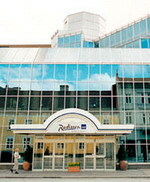 Centered within shopping and business district of Malmo, Sweden, sits the mirrored glass-fronted Radisson SAS Hotel. The Caroli Shopping Center runs adjacent to the hotel lobby. Located 800 metres from the property is the central train station. 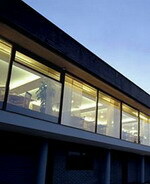 Malmo Fair and Exhibitions and Casino Cosmopol are two kilometres from the property. Slate and black granite tile floors line the lobby of the Radisson SAS Hotel. Thott Brasseries offers Swedish and international fare. Complimentary breakfasts are served daily. Cocktails and light snacks are provided in Thott Bar. The hotel's health club offers massage treatments. For a fee, hotel guests are allowed access to the Nautical fitness facility within the hotel. The Radisson SAS Hotel's lobby opens into Caroli Shopping Center where specialty shops and eateries are located. Being an ideal place in the city of Malmo, this hotel offers a warm welcome, pleasant ambience and convenient facilities to make your stay a memorable one. The Scandic Segevang Hotel is situated 12 minutes drive from the Malmo City Centre as well as few kilometres from the local attractions, which include the Kungsparken and Slottsparken parks, Malmo Reptile Centre, Western Harbour and the Turning Torso sculpture. This property offers beautifully decorated guestrooms that are elegantly furnished with an array of contemporary amenities to satisfy the needs of discerning travellers. Start off your day with a healthy breakfast served at the breakfast room. Offering beautiful views of the golf course and the swimming pool, the on-site restaurant serves delicious Swedish and international cuisine for you to enjoy. Health conscious guests can workout at the well-equipped gymnasium, have a bracing dip in the swimming pool or relax at the sauna.